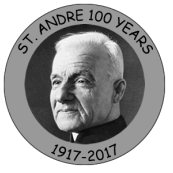 2017, the 100th anniversary of Bro. André's visit to the area, has been an incredible year of remembering and celebrating the time Br. André spent here walking with and talking to our ancestors. 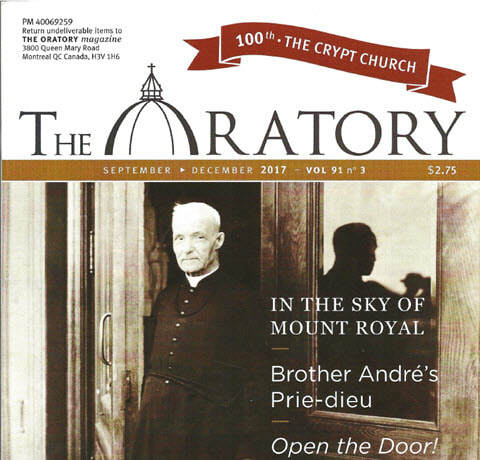 We even had the privilege of having an article about the year appear in "The Oratory". Click to read the article by Nathalie Dumas which appeared in the September - December 2017 edition of the Oratory. Click here to read the article "en français". 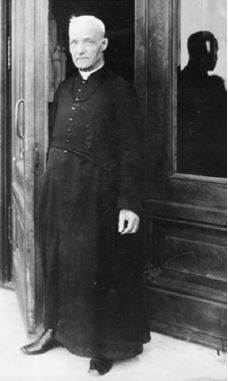 "There is no problem, I tell you, no matter how difficult it is, that we cannot solve by the prayer of the Holy Rosary." The Capuchin Brothers held a retreat represented by Father Louis Mousseau at St. Peter’s Church on Sept 9, 2017. They donated a picture of Fr. 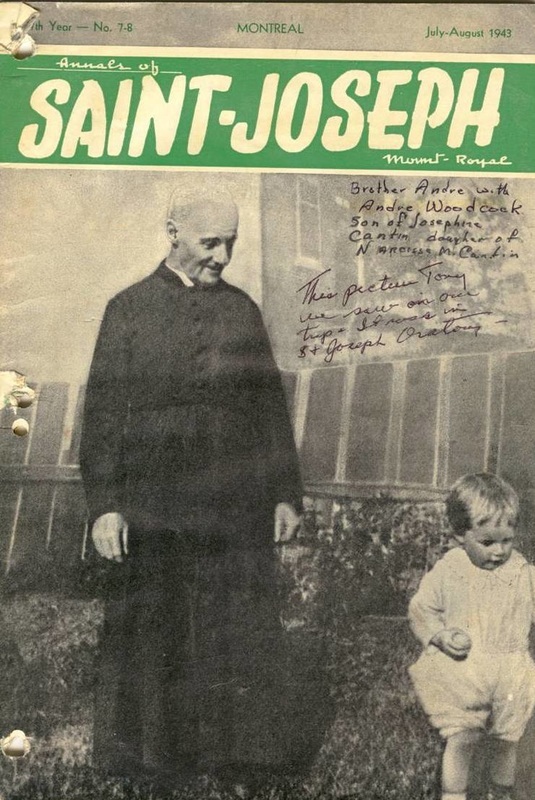 Solanus Casey meeting Brother Andre. It was accepted by Don Oesch on behalf of the parish. Father Solanus Casey was 65, while Brother Andre was 90. 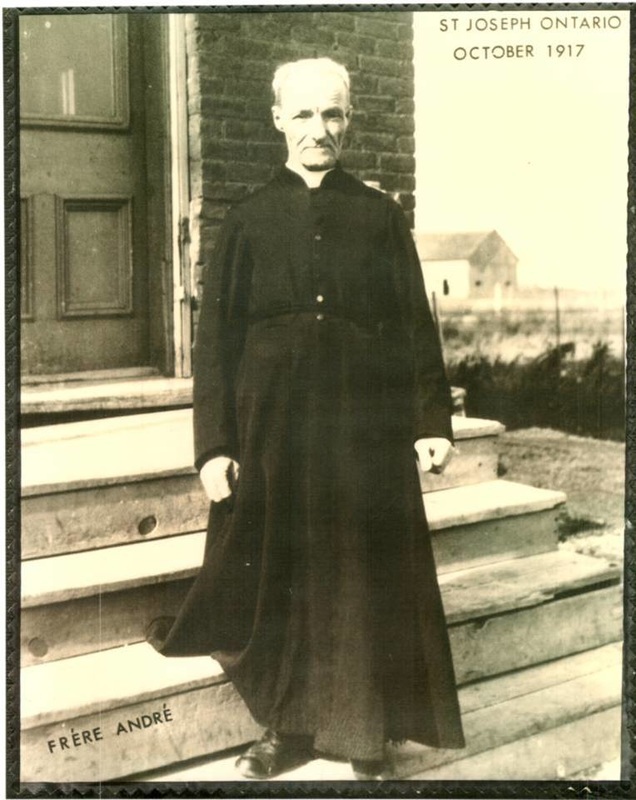 Brother Andre had heard of Father Solanus Casey and while he was visiting the monastery inquired about Father Casey’s whereabouts. The two men met but were unable to engage in conversation as Father Casey knew no French and Brother Andre know no English. However, they did the only thing they could do in one language; they blessed each other in Latin, the language of the Church. Read the full article here. ​Brother André the humble doorman welcomed all. "Put yourself in God's hands. "The rosary is a long chain that links heaven and earth. One end of it is in our hands and the other end is in the hands of the holy Virgin...the Rosary prayer rises like incense to the feet of the Almighty."